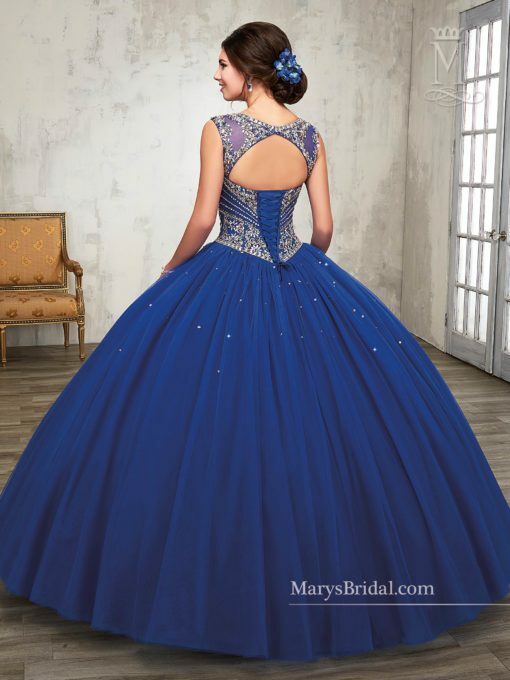 Quinceanera gown with cut out detail on back and lace-up back. 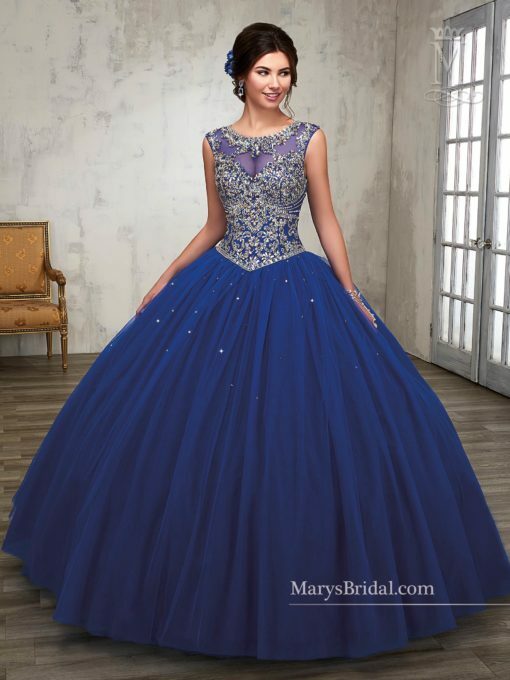 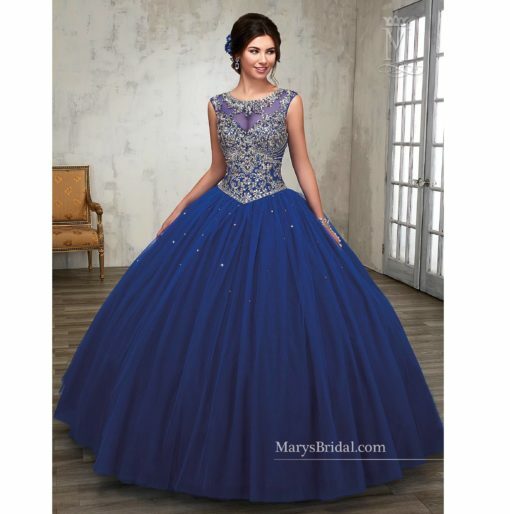 Quinceanera ball gown with sheer, embellished neck line and bodice. The back features a cut-out detail and lace-up back.